Established in 1929, Hideaway Lodge was the first licensed camp on Clearwater (Burditt) Lake. Originally the only way to get onto the Clearwater/Pipestone chain, our driveway served as a portage; the spot where our old woodshed stood served as a horse barn to carry canoes, motors, lumber, and supplies for anyone heading up the lake. Over the years, the various owners accumulated two outpost cabins, one on Pipestone, and one on lower Manitou. The Pipestone outpost still belongs to Hideaway Lodge, but the Manitou Outpost was sold off. We acquired the West Jackfish outpost in 1999. There are no more original buildings left on the property, though part of Cabin 2 once served as a shower/laundry room. The prettiest spot on the lake with a natural sand beach, Hideaway Lodge is still a great place to spend your Canadian holiday even after all these years! 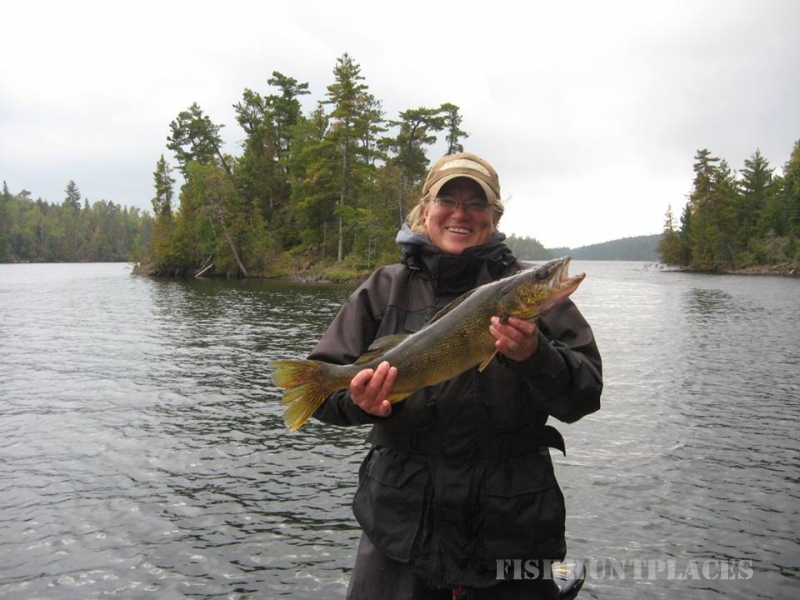 Hideaway Lodge has been a favorite destination for Northwestern Ontario fishing enthusiasts for over 80 years. 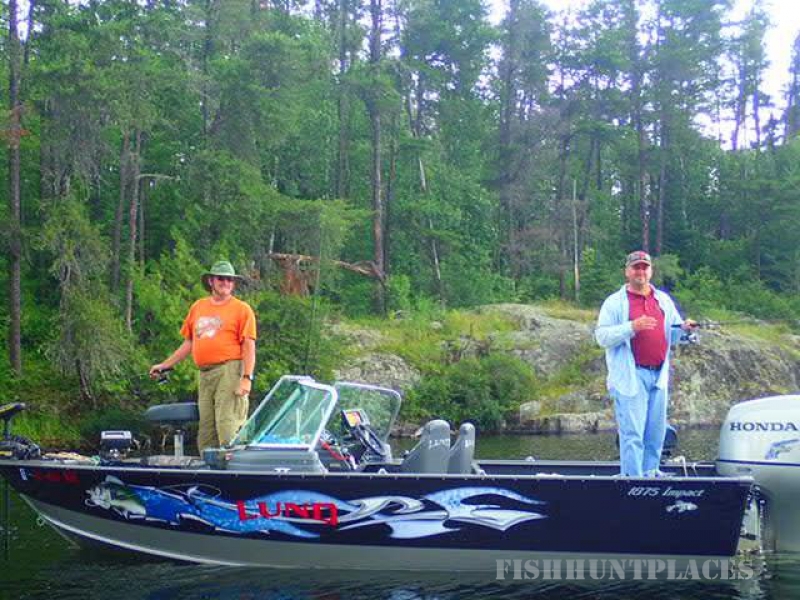 Join us on Clearwater Lake to see why! 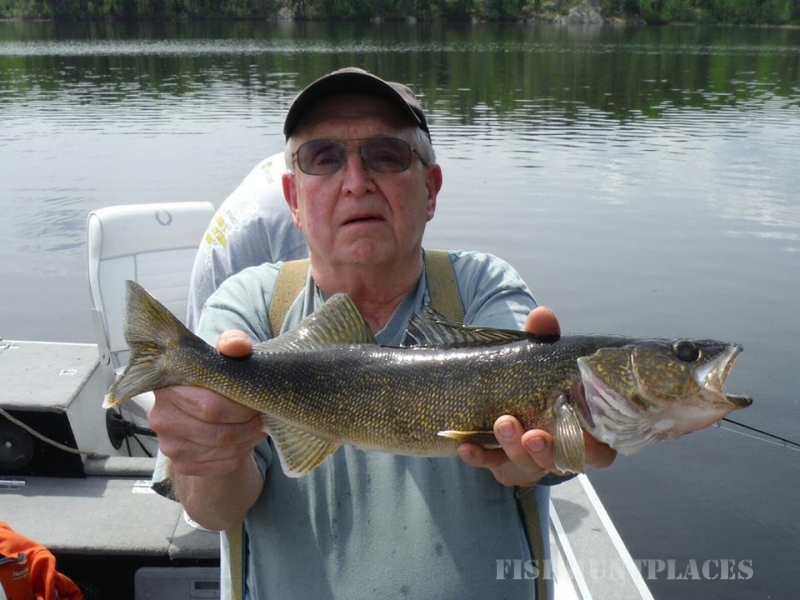 The Clearwater-Pipestone chain of lakes offers some of the best drive-in fishing in Ontario. The chance to fish in these unique waters should not be missed! When else will you have the chance to fish 11 lakes and over 70 miles of water? 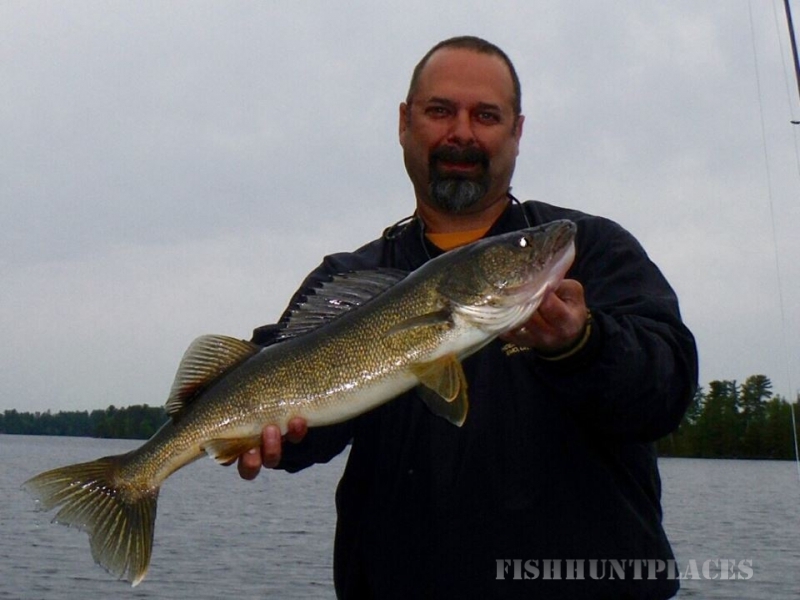 The chain is narrow in width, easy to navigate, and teeming with fish- so what are you waiting for? 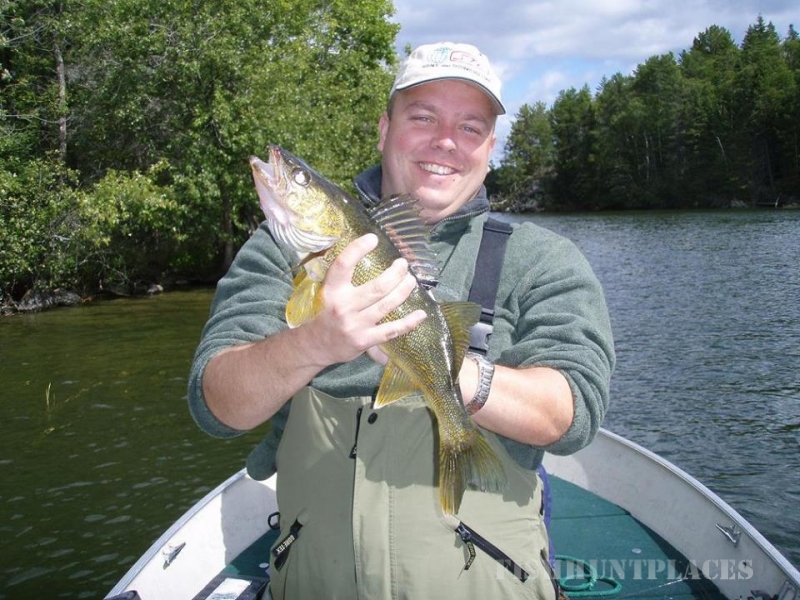 Anglers come to Northwestern Ontario for our unsurpassed fishing, and Clearwater-Pipestone does not disappoint. 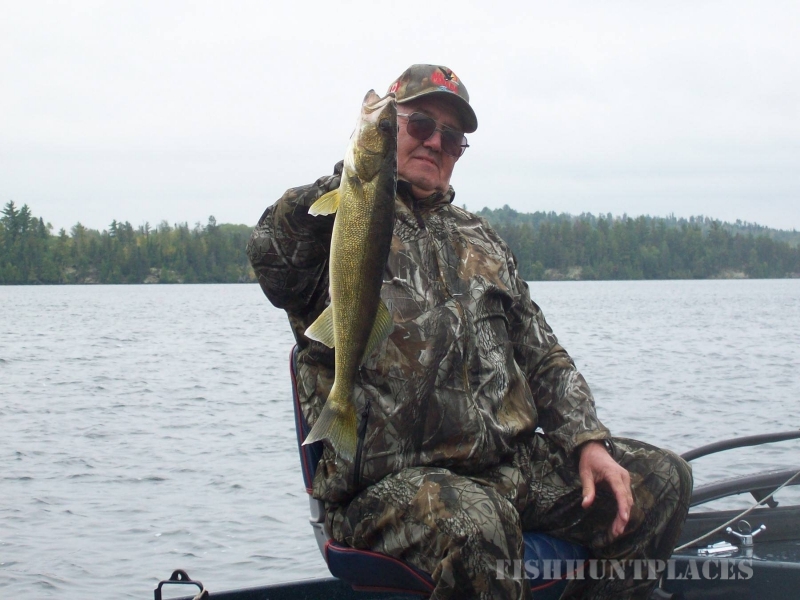 The lakes are naturally stocked with a variety of fish- from eaters to trophies. 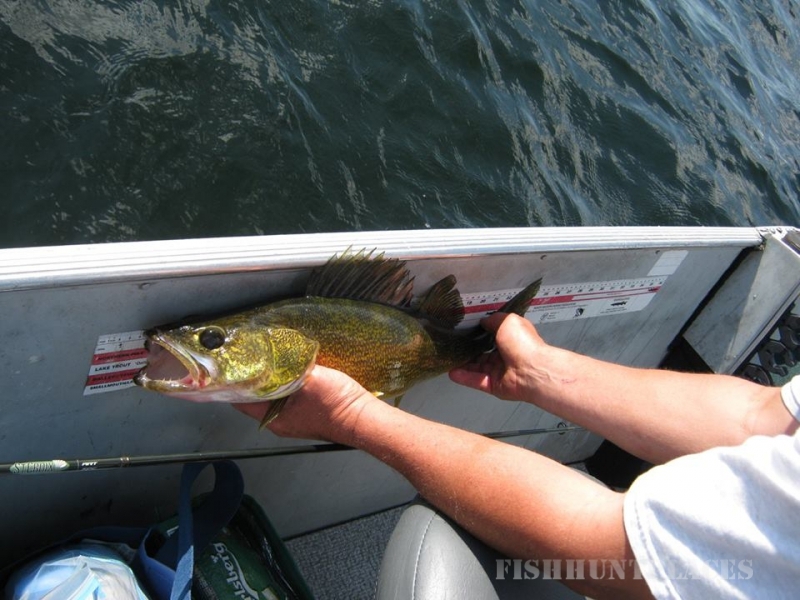 You’ll find walleye, small & largemouth bass, muskie, northern pike, lake trout, and jumbo perch. 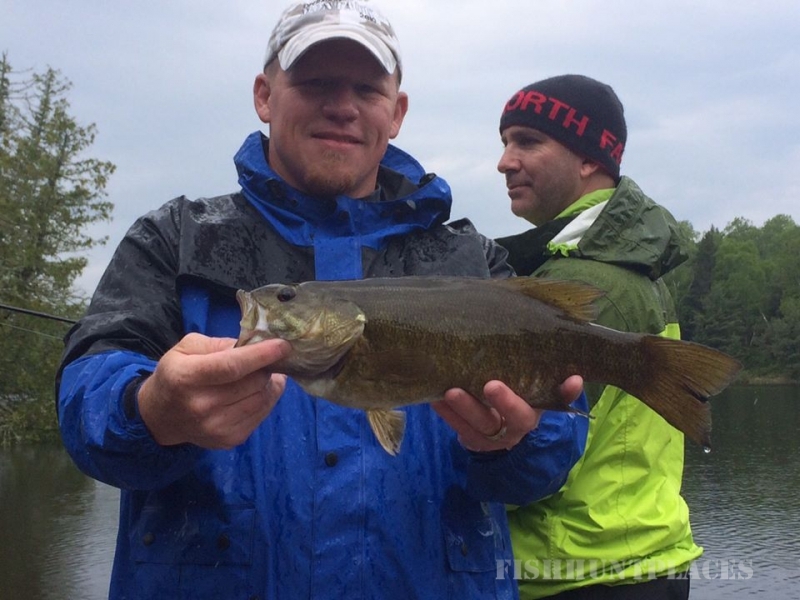 Each lake has its own characteristics and fish population, and the sheer number of lakes to choose from means that you’ll find successful fishing somewhere on the chain all season long. When the days start to shorten and the temperature begins to dip, Hideaway Lodge becomes the preferred base for hunters seeking trophy whitetails and excellent small game hunting in Northwest Ontario. 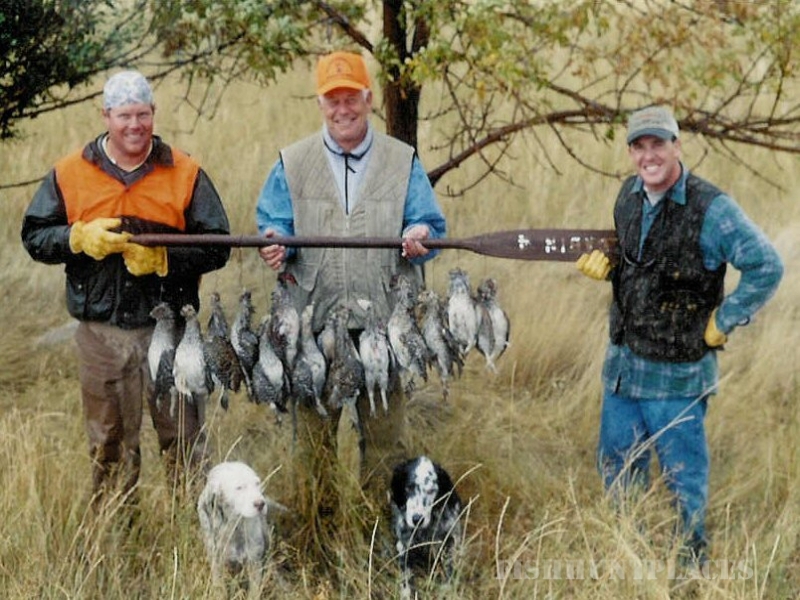 We offer guided trophy whitetail and grouse hunting packages throughout the fall, so pack up your guns and head to Hideaway! All of our hunting is done on hundreds of acres of untouched forrest near the Lodge, giving hunters unparalleled access to proven hunting grounds. And since the Lodge is located right in the heart of where you’ll be hunting, you can count on hot meals and a comfortable lodging each night when you return to camp. 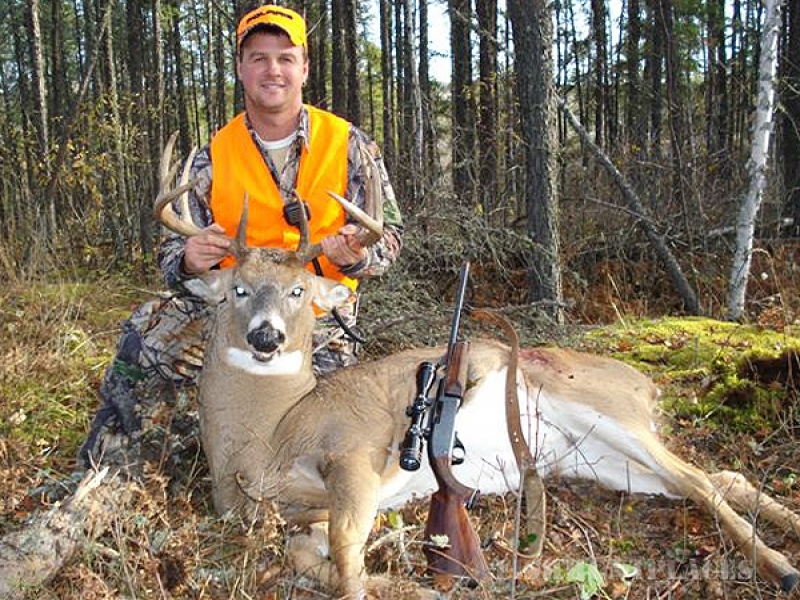 For the very best in Northwestern Ontario hunting and hospitality, come to Hideaway Lodge.